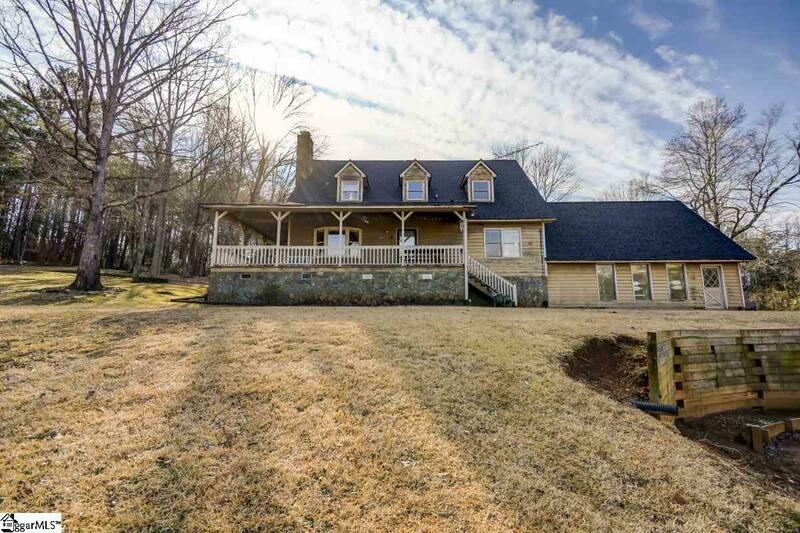 SECLUDED LAKE HOME 6 ACRES Looking for a serine lake location? Look no further! This home is tucked away from the road the paved driveway will lead you to the back of the home. As you arrive you will be greeted by the amazing views of Lake Robinson Entering the home from the side, you walk into the formal dining room you will notice the wonderful cedar walls and ceilings and feel like you have walked into your own private lodge. 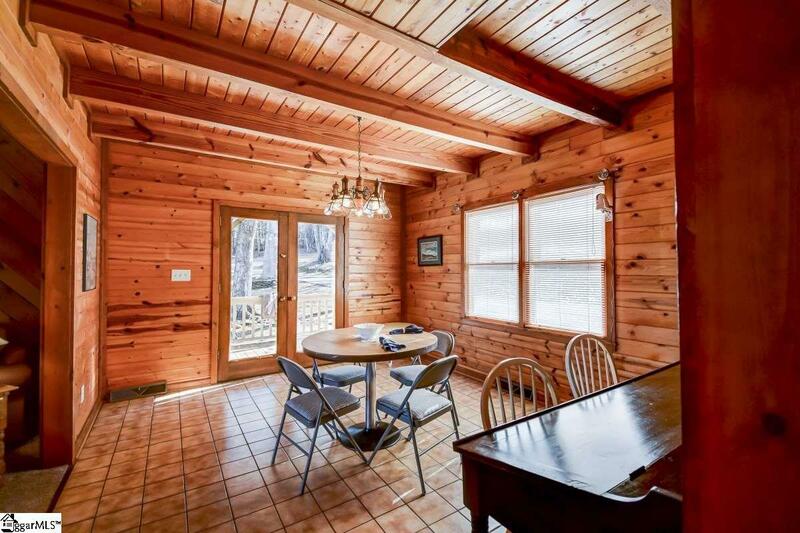 The living room boasts a stone wood burning fireplace, perfect for those cool nights on the lake. The bay window provides a great view of the lake too! 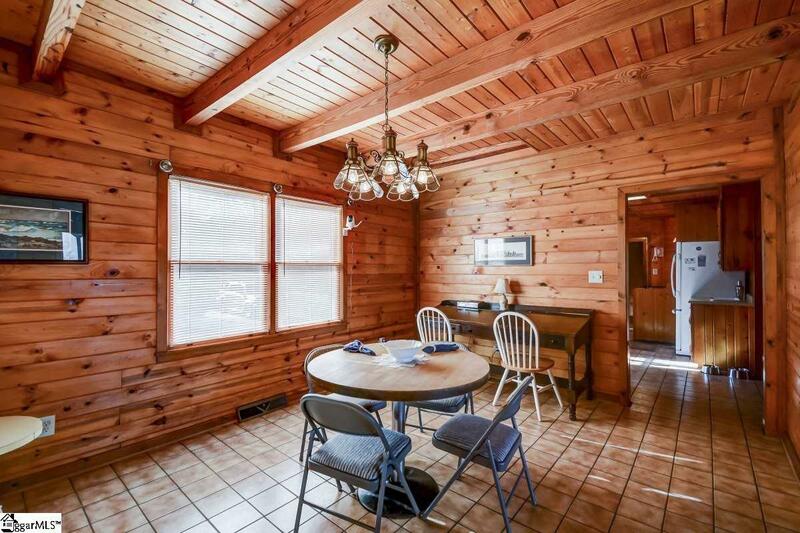 The large kitchen has lots of cabinets and there is a built in booth type table perfect breakfast area! There is a master bedroom on the main floor with its own access to the full bath located on the main floor, and plenty of closet space! Through the kitchen is the large walk-in laundry room full sized washer and dryer and storage room as well. Opening the door from the laundry room will take you down a level to the heated, partially finished area where the current owners store their kayaks and lake equipment. This space has a full bath as well perfect for showering after a day on the lake! This space could also be fully finished into a family/rec room. Upstairs you will be amazed by the 2 large bedrooms, each with their own bath and walk-in closet. The one room is really like a 2nd master bedroom! All the bedrooms in the home have hardwood floors. 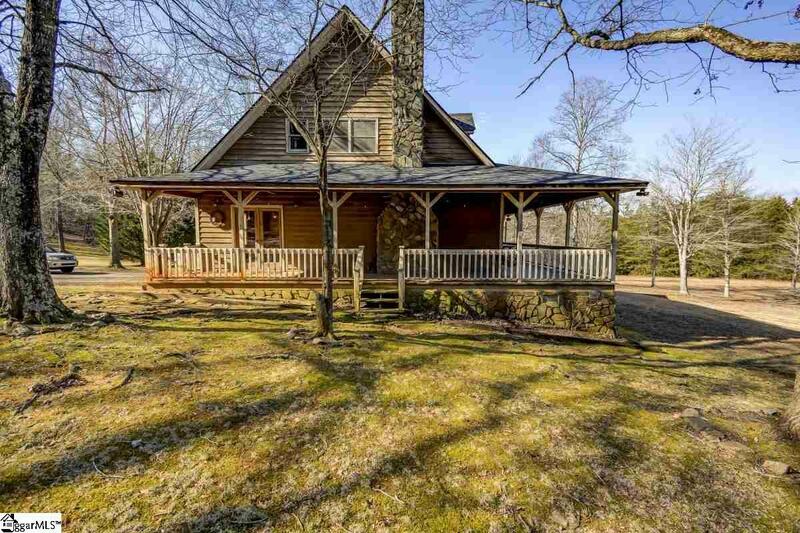 Be sure to talk a walk down to the lake and take in all the beauty of this property! Call today for your private showing!